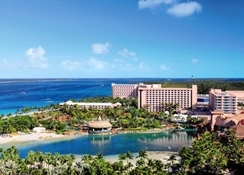 Beach Tower: The Beach Tower, situated at the easternmost end of the resort, features Atlantis' most moderately-priced accommodations in a laid-back, tropical and casual environment. 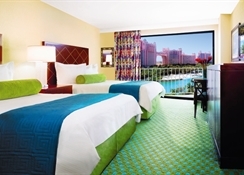 Guests in this tower enjoy full access to all the amenities in Atlantis, a short walk to beautiful white sand beaches, several pools and the movie theatre; Club Rush for teenagers, Gamers Reef and Earth and Fire Pottery are located on the lobby level. Coral Towers: The Coral Towers are centrally located and offer contemporary, relaxed accommodations within a tropically casual atmosphere. 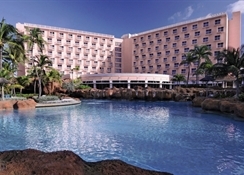 Guests enjoy convenient access to pools, slides and lagoons and many marine exhibits. 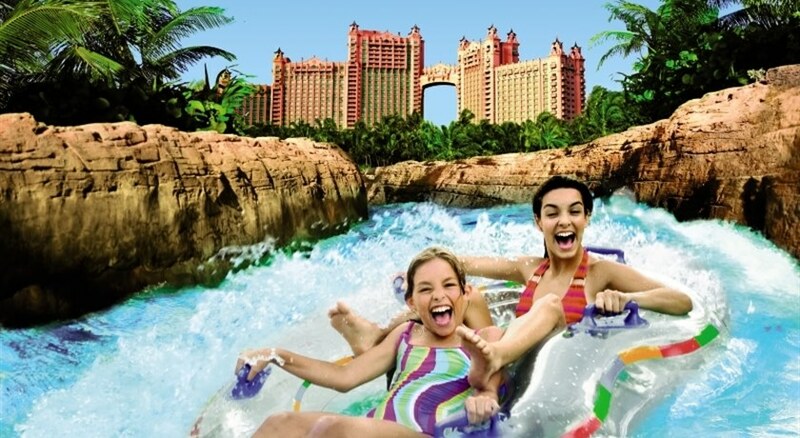 Also nearby are CRUSH (teen club), Marina Village, Crystal Court Shops, the casino and several dining options. 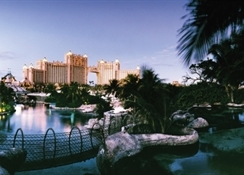 Royal Towers: The iconic Royal Towers reflects the spirit of Atlantis with stunning architecture and unique murals and sculptures. The dramatic Great Hall of Waters lobby features stunning views of the Ruins Lagoon. 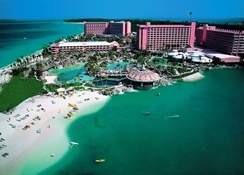 Close to Aquaventure, Mandara Spa, Atlantis Kids Adventure and Dolphin Cay.